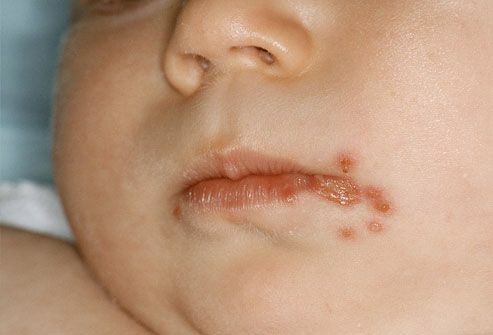 Immature blood vessels may cause small red patches called "stork bites" or "angel kisses." They can be on the face or back of the neck. Crying may make them brighter but they usually disappear within a year. 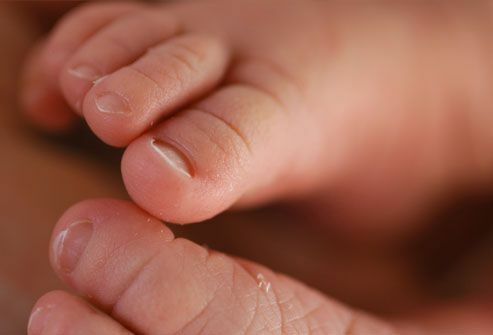 Birth can cause other small scratches or blood spots on your newborn that should heal in a couple of weeks. Other types of birthmarks may stay around longer or never go away. If you're concerned, talk to your pediatrician. Babies don't need a daily bath. During the first few weeks, keeping baby clean during dirty diaper changes and doing sponge baths should do the trick. No full bath is needed until baby's about a month old. If they are younger than 1, they can be bathed just every 2-3 days. Bathing too often can dry the skin. Between baths keep baby's face and hands clean by wiping with a damp, warm washcloth. Until baby's cord falls off, avoid getting it wet. If it gets dirty, clean with a baby wipe or rubbing alcohol. Instead of full baths, try sponge baths. Gather a basin of warm water and clean washcloth so you can keep one hand on the baby at all times. 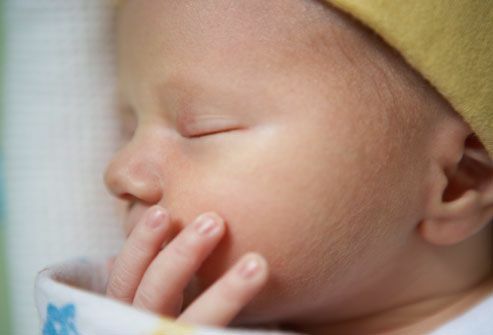 Lay a soft towel on a clear, stable surface for baby to lie on. Keep him warm by leaving him wrapped in a towel, only uncovering the part of baby you're washing. When the cord does fall off, there may be slight oozing of blood. Don't worry about this -- just keep the area clean with soap and water. Talk to your doctor if you see pus or redness of the skin around the stump area or if you notice a bad odor. When baby's ready for full baths -- remember, his skin is soft and sensitive. You only need to fill the basin with 3-4 inches of water. Test water on the inside of your wrist to be sure it isn't too hot. 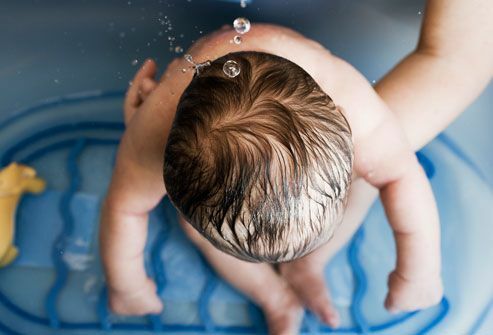 Keep baby's skin hydrated by bathing in warm water for only three to five minutes. If using lotion, apply while baby is still wet, then pat dry instead of rubbing. To be safe, you should keep your hot water set for under 120 degrees. Nemours Foundation. 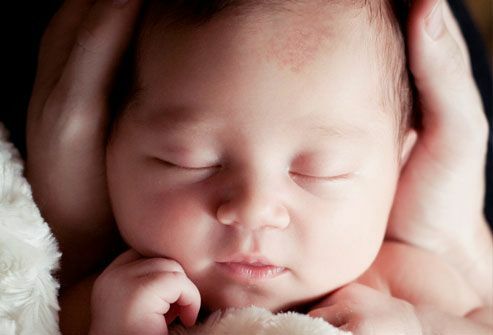 KidsHealth.org: “Looking at Your Newborn: What’s Normal,” "A Guide for First-Time Parents."